Shameless self-promotion, but oh what fun! This two-hour program originated from NBC studios in New York and featured an amazing list of current and former NBC personalities. 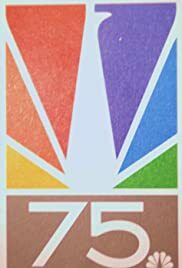 The show featured several segments on different shows, genres and moments in NBC's 75 years. Some of the highlights of show included: Mr. T's NBC star pity list (`I pity ALF, you never did get to eat the cat; I pity Screech, because we all pity Screech), Conan O'Brien with a look at late night on NBC, and the cast of Cheers, E.R., the Cosby Show reunited on stage. Well worth a look if you can find it!